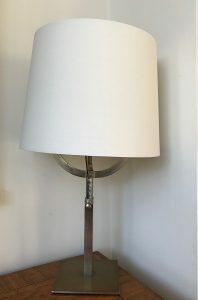 An interesting nickel modernist French table lamp. c.1940’s. 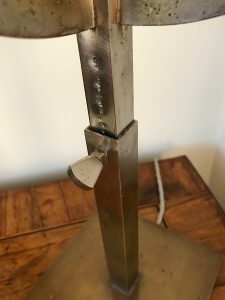 Some marks to the stem of the lamp, where the height is adjustable. 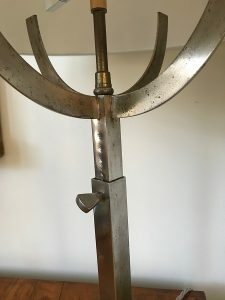 Possibly would have held a globe shade.